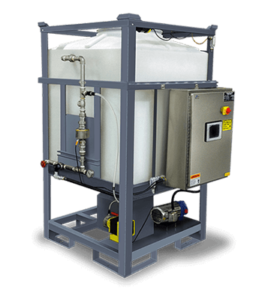 The PHOENIX auto/CHEM™ Dewatering Chemicals Preparation & Delivery Systems are available in both Dry (Model D) and Emulsion (Model E) polymer systems. 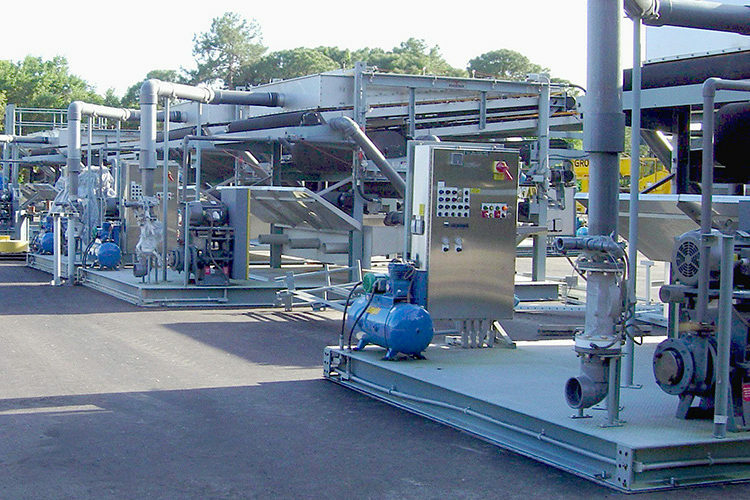 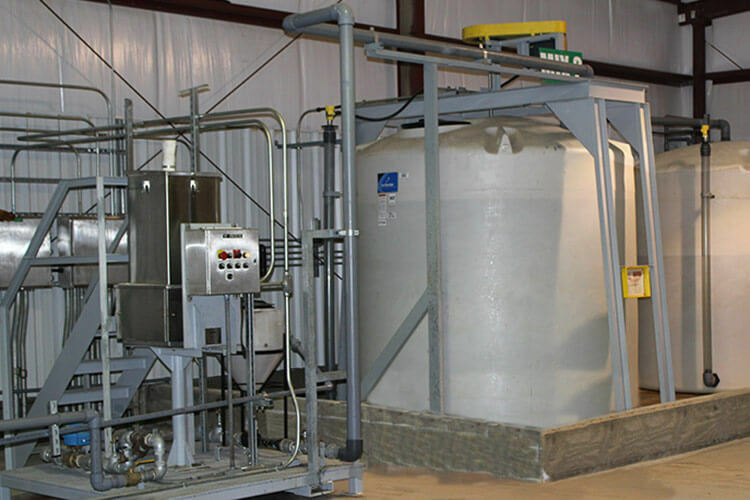 Dewatering Chemicals Preparation & Delivery Systems include belt driven mixers that enhance reliability and ensure maximum mixing action, and are designed with common, locally available components for quick spare part sourcing. 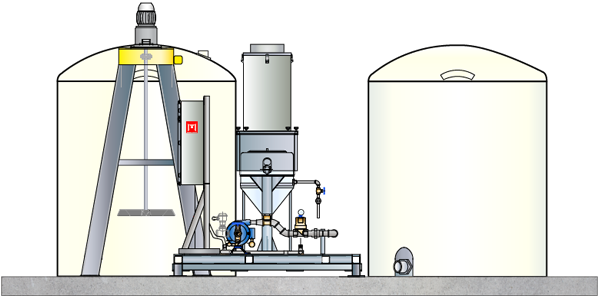 PLC controls interface with plant computer systems and the systems can be supplied with automatic or manual controls for maximum operational flexibility. 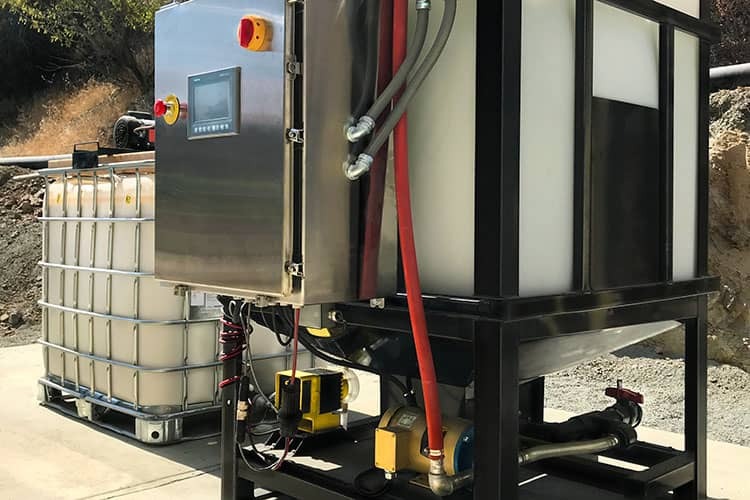 PHOENIX also provides a full line of cost-effective polymers for slurry thickening, slurry dewatering, slurry pond maintenance, and water clarification. 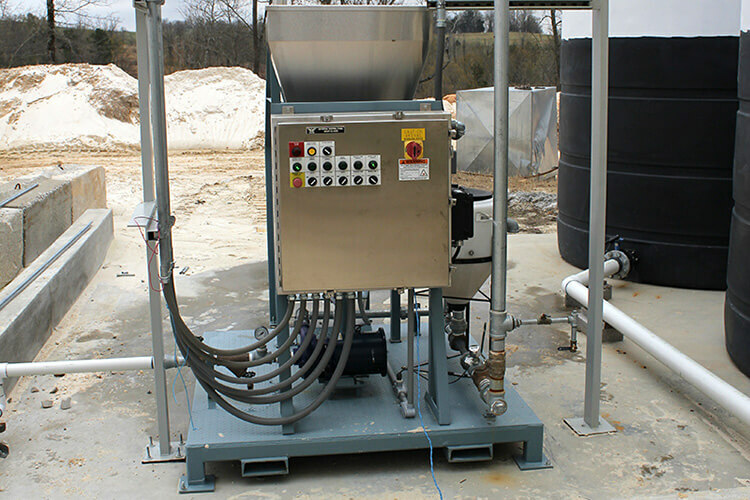 PHOENIX Model D auto/CHEM™ Polymer Mixing and Delivery Systems are selected to meet required performance parameters with little operator attention and minimum maintenance. 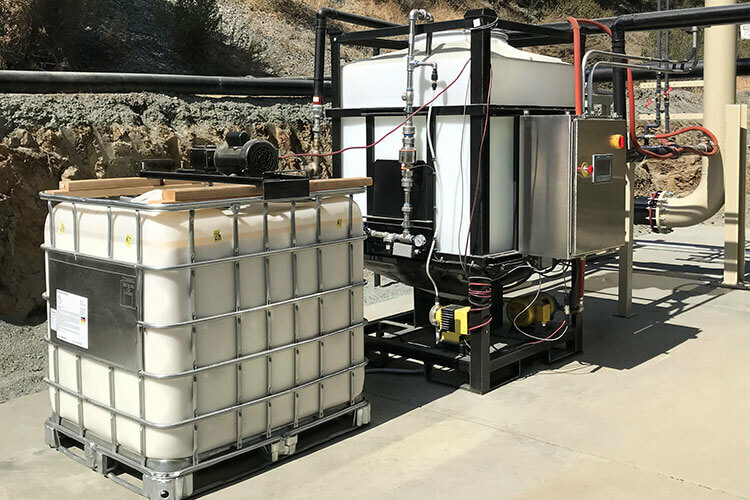 The Model D polymer mixing system is available in several sizes and designs including Bag Loaded and Super Bag Loaded systems. 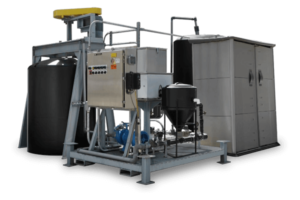 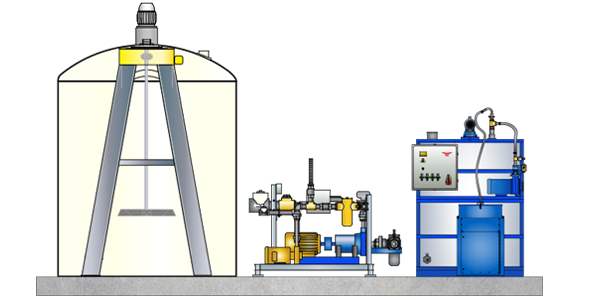 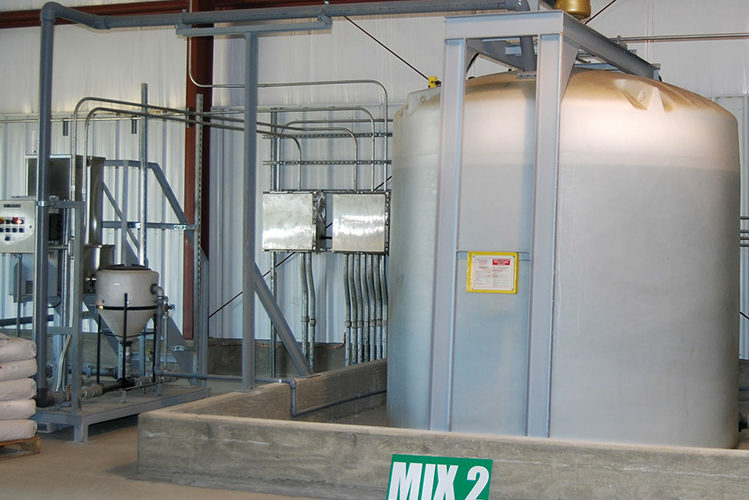 PHOENIX Model E auto/CHEM™ Polymer Mixing and Delivery Systems for emulsion polymers include water supply components, a neat emulsion polymer skid, and a solution mix tank with propeller mixing unit and floc delivery pump.